By Monia Mazigh – This week, a Radio-Canada investigative reporter found out that the Canadian Border Services Agency (CBSA) has been detaining between 4,000 to 6,000 asylum seekers per year in the last ten years. It is estimated that 90% of the cases have no security connection. Rather, most of the asylum seekers are detained for administrative reasons, mainly about identity papers. The most troubling part of this investigation is that these asylum seekers, including hundreds of children among them, are detained in facilities where criminal and drug traffickers are also detained. They are held in detention centres or provincial prisons. In 2014-2015, it was reported that the period of detention for the refugee claimants was, on average, 23 days. The UN Special Rapporteur on the human rights of migrants joined his voice to the UN High Commissioner on Refugees to denounce this illegal treatment and to ask Canada to stop the detainment of asylum seekers in prisons. 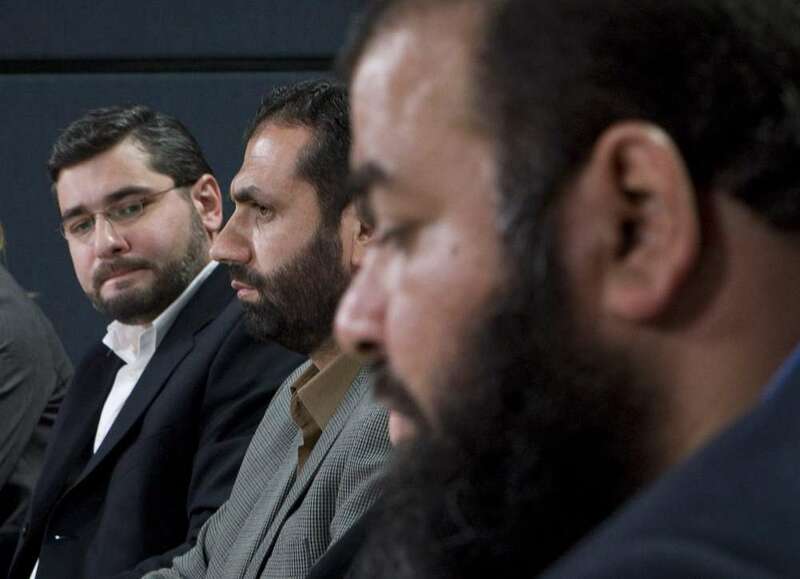 But so far, Canada didn’t listen to these voices and as of a few days ago, we learned from the media that a 16-year-old Syrian boy would be deported from Toronto by the CBSA to the US. Under the Canada-US safe third country agreement, refugee claimants are required to request refugee protection in the first country they arrive in. This agreement is part of the US-Canada Smart Border Action Plan. It came into effect in 2004. In the past years, Amnesty International, the Canadian Council of Refugees and the Canadian Council of churches legally challenged this agreement arguing that it should be considered in breach of the Charter’s obligations since the US doesn’t comply with the Refugee convention and Convention against torture. First, the Federal court agreed with this opinion, but unfortunately, in 2008, the Court of appeal overturned that decision and the court made a final decision to keep the agreement. This boy, who came to the US with his parents, thought that he would have higher chances of being accepted by Canada since the Liberal government made it as one of its political priorities to accept 25,000 Syrian refugees. He didn’t know about CBSA’s extended powers and the above ongoing detainment practices of refugee claimants. It should be noted that the 16-year-old boy crossed the border unaccompanied and that would make him normally admissible (given his age) but still the CBSA arrested him and detained him for three weeks in isolation in a detention centre in Toronto. After releasing him, the CBSA ordered the boy to be deported to the US. From there, he will likely be deported to Syria via Egypt. Once again, we have a federal agency that is hugely implicated in arresting and detaining people, the most vulnerable ones, with no possibility of redress or appeal. The extended powers that this agency has accumulated since 9/11 are not always justified. Indeed, why do we keep refugee claimants in prison during the time it takes to verify her identity or legal documents? According to some experts in the field, these abusive arrests can be simply replaced by some simple bail conditions or some presence requirements: for instance, the individual needs to check in with the authorities and not leave the city. Moreover, these arrests are not even security motivated as it is usually thought or perceived by some. Did the 16-year-old boy present a security threat to Canada? Nothing seems to point in that direction in this case, nor in most other cases of detention since, as we said above, 90% of the 4000 cases of detained claimants have nothing to do with security. Meanwhile, we don’t know why these arrests are being made. This humiliating and harmful treatment of refugees in the name of security paranoia that is tainting the government’s actions needs to stop. 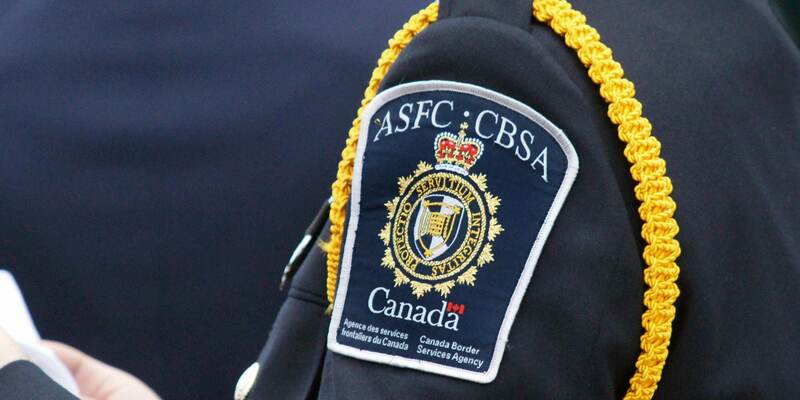 CBSA is one of several agencies that have zero accountability and oversight. This must immediately change. This entry was posted in News from ICLMG on 17 February 2016 by ICLMG CSILC. By Monia Mazigh – The Protection of Canada from Terrorists Act (formerly Bill C-44) was introduced in the House of Commons immediately after the Parliament Hill and the Saint-Jean-sur-Richelieu shootings in October 2014. The legislation had been sitting on the government’s shelves and the tragic incidents offered the “strategic timing” for the government to table it in the House. Bill C-44 became law in February 2015 with 174 voting for it and 81 opposing it. It allowed Canadian judges to issue warrants for CSIS activities outside Canada even if this would violate foreign laws. The changes were obviously answers to a wish list formulated by CSIS after it was rebuked in the court system. Indeed, both the Federal court of appeal and the Supreme Court of Canada (in the case of Mohamed Harkat’s security certificate) ruled that, unlike police informants, confidential informants hired by CSIS should not enjoy the same protection of their identity. Instead, the court decided that protection should be determined on a case-by-case basis. One crucial aspect of Bill C-44 is that the Conservative government said nothing about it being retroactive. Therefore, we were shocked to learn last week that the Liberal governement, in its fight against the lawsuit brought by Abdullah Almalki, Ahmad El-Maati and Muayyed Nureddin, decided to continue pushing for C-44 to be considered retroactive so that the greater protection of informants included in the legislation would apply to the years when the detention and torture of the three men occurred. This action is even more puzzling in light of the fact that the Liberals had previously supported a motion in 2009 calling for the three men to receive an apology from the government and be compensated. It would be a great mistake for the Liberal government to fight victims of torture. Extending CSIS already large powers to make them retroactive won’t take us anywhere near accountability. This entry was posted in News from ICLMG on 10 February 2016 by ICLMG CSILC. Editorial: How many more security breaches should we accept before getting serious about review mechanisms? By Monia Mazigh – Last week, something quite unusual happened. 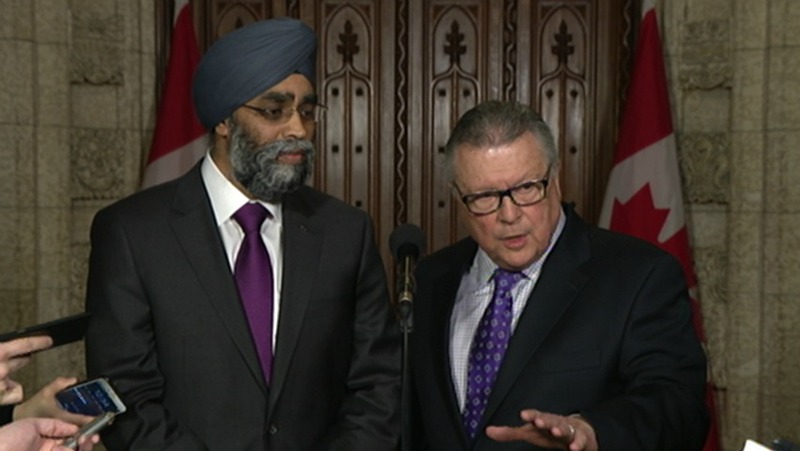 Ralph Goodale, the Public Safety minister, alongside his colleague Harjit Sajjan, the Defence Minister, held a scrum in the presence of journalists on Parliament Hill to speak about, respectively, the Security Intelligence Review Committee (SIRC) report and the Office of the Communications Security Establishment Commissioner (OCSEC) report. But the most unusual thing was to have an official from the OCSEC do the briefing to the journalists, an action that has never been done before. One should remember here that the CSE is a very secretive federal agency and the OCSEC, the organization supposed to watch and report on its activities to parliament, has always suffered from their work being censored by CSE itself. Even though, we didn’t learn much from the ministers about the two agencies other than what is public knowledge, this attempt at transparency is a positive step but it is certainly not enough. The bomb that was revealed during that media encounter was that a “software glitch” (I emphasize on how this has been described, as if to minimize the impact or the scope of the information) caused the data collected on Canadians to be unduly shared with the other Five Eyes members without taking sufficient measures to protect individual identities. This information can be email addresses, phone numbers, who knows? The former Defence Minister, Rob Nicholson, was briefed about that security breach at the time, more than two years ago, but he kept it secret from Parliament and from the Canadian public. Is this acceptable in a democracy? How come no one has called for the resignation of Rob Nicholson yet? Didn’t he mislead the House by keeping this information secret? I am sure that he will respond that at that time he had taken the best decision based on national interest. But how can we really know? Why should we trust his judgement? Why do we have to call this an “honest mistake”? Do we have the evidence to declare so? Today we have a greater incentive to have a parliamentary oversight that wouldn’t allow this behaviour to happen and perpetuate. And we have another reason to also create a “super SIRC” that would allow review of the work of all agencies involved in national security. So we won’t leave it up to ministers’ discretion to decide on these important files. Inside the SIRC report, we learned that CSIS, on several occasions, obtained tax information on Canadian citizens without a warrant. SIRC discovered it and recommended to CSIS to correct the situation and follow the proper procedure. But how do we know that the Canadian Border Services Agency isn’t doing the same thing? Or that Transport Canada or Health Canada aren’t also getting information on us without following the proper procedures? Normally, we should trust our institutions but since breaches have already happened, can we still trust them? Can we just rely on the candour and honest judgement of officers and ministers? With these additional reasons, we ask loudly and yet again for the implementation of Justice O’Connor’s recommendations and for comprehensive, integrated and robust review mechanisms that would monitor the work of all 21 federal departments and agencies that are involved in national security activities, and truly protect Canadians and our rights. This entry was posted in News from ICLMG on 4 February 2016 by ICLMG CSILC.